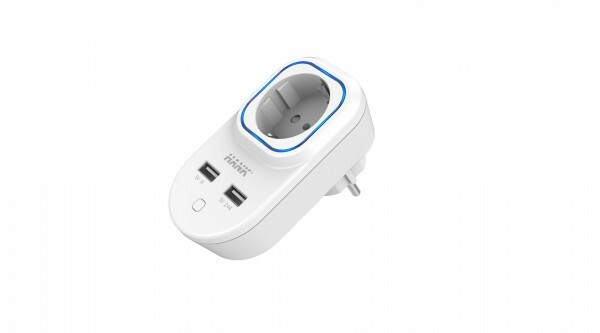 Product information "Hank Smart Plug"
With the Smart Plug of Hank you will never worry about a connected iron or coffee machine. 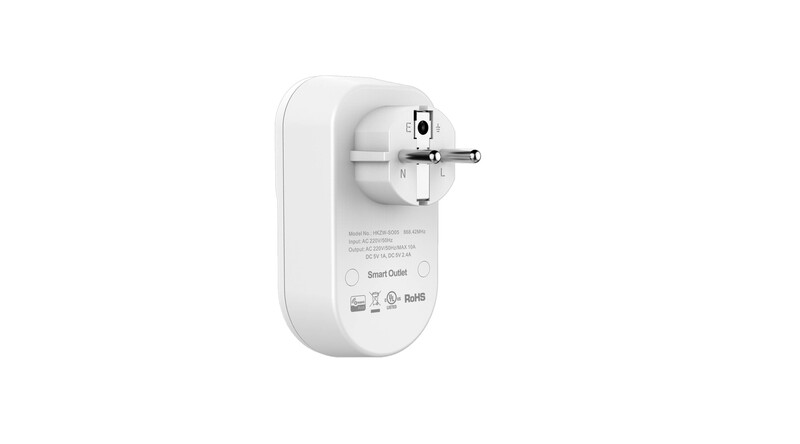 Using the intelligent remote controllable wall plug you are able to turn off devices comfortable via Smartphone or Tablet from anywhere. You can control and monitor any electrical devices. Due to its energy measurement function, you can also identify all power eaters in your home. The RGB LED ring informs you about the current power consumption of the connected device. 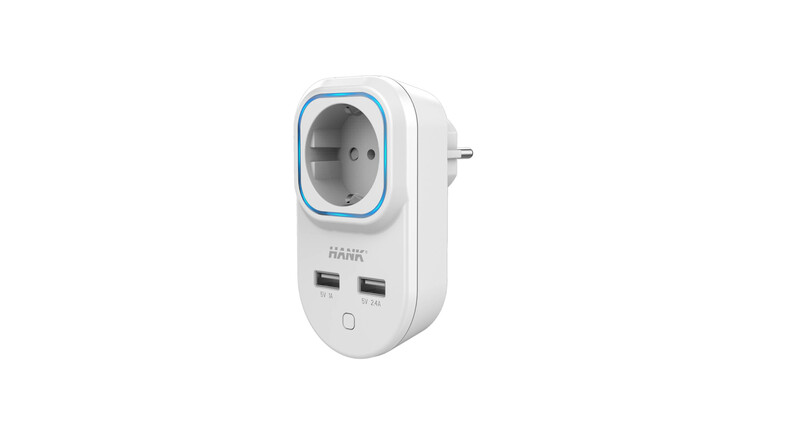 The Smart Plug offers one special feature: Two USB charging ports with 5V and 2.4A for charging your smartphone or any other USB powered device. 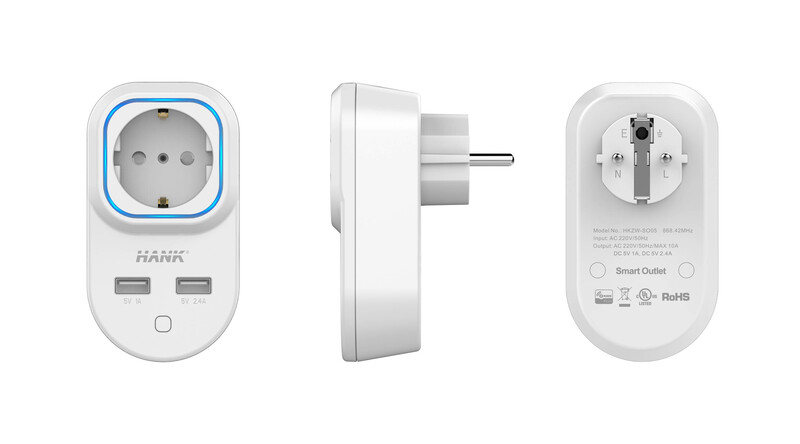 Furthermore the Smart Plug repeats the wireless signal and so it extends the range of your Z-Wave network. Related links to "Hank Smart Plug"